Victoria, now living in Cambridge, Mass. 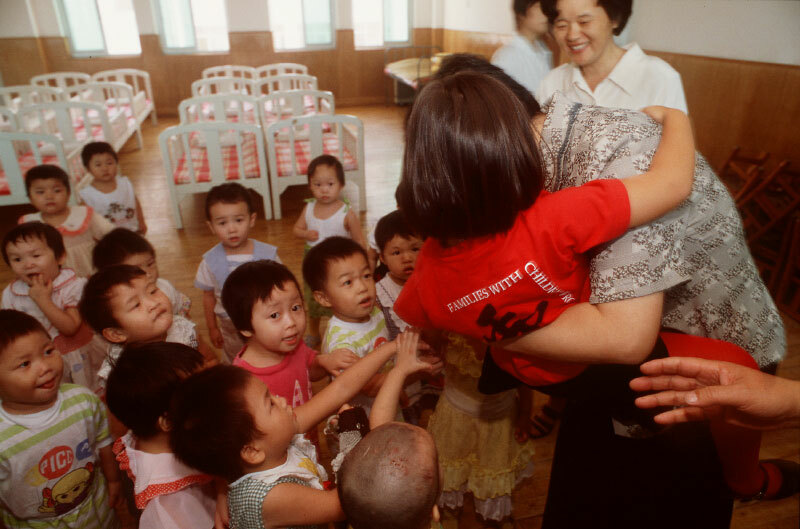 with her adoptive American parents, returns to the orphanage where she lived as an infant. She is welcomed with open arms by the director, and swarmed upon by curious children, anxious to see and touch a real live success story who had gone to America and come back to her place of origin.